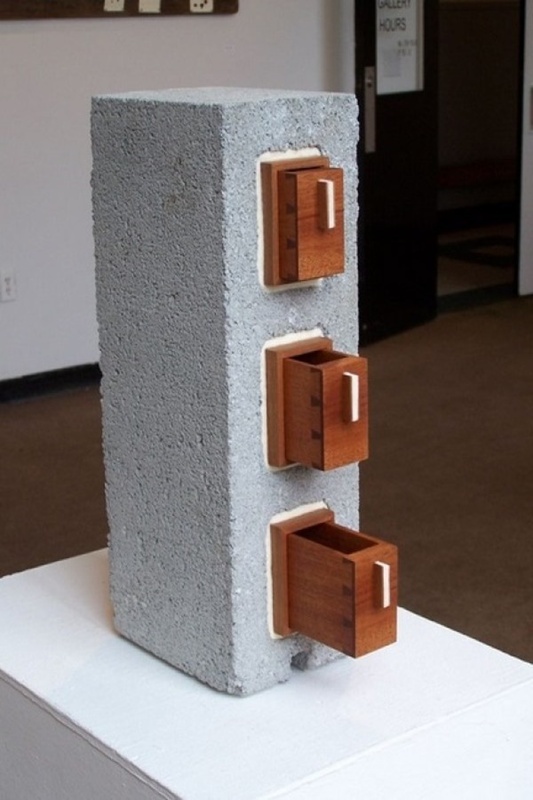 Cinder blocks, hollow block or breezeblocks – you may know it with any of the names, but the simplicity of this art piece is beyond simple words. 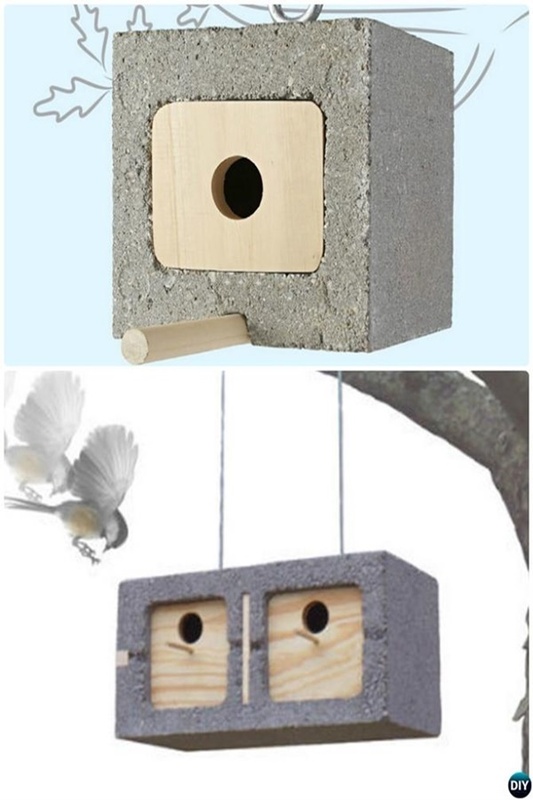 They may seem to be a waste during the construction of your house but wait! Are they really a waste? Umm, not really! 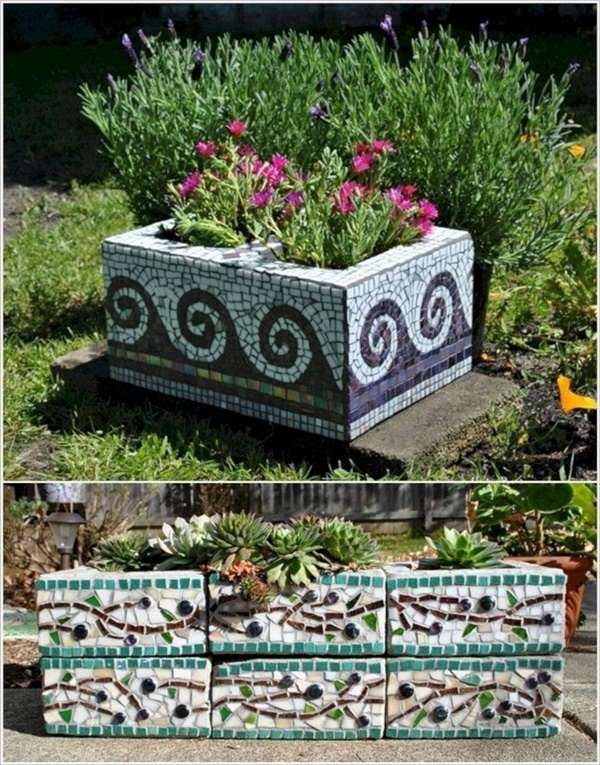 Because when they say, every waste can be converted into something beautiful using your creativity that actually is true. 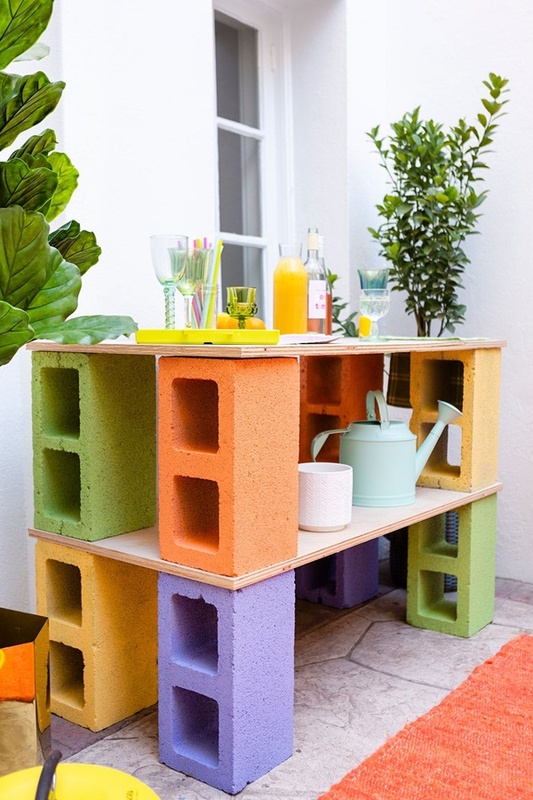 People have been converting and recycling waste for a long time, and cinder blocks are no different. If you truly love your window and how it offers you a view of the beautiful morning outside, then you probably wouldn’t mind putting in some efforts to decorate it. Window decoration is not a new concept, though. People have been decorating their windows since time immemorial. But the decoration approaches have dramatically changed now. 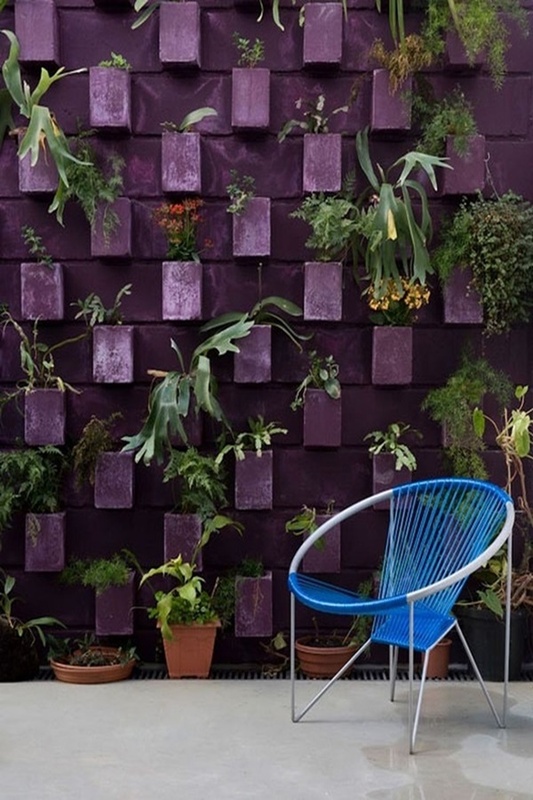 Here are some Fresh Window Decoration Ideas you can follow without doubts and apprehensions. 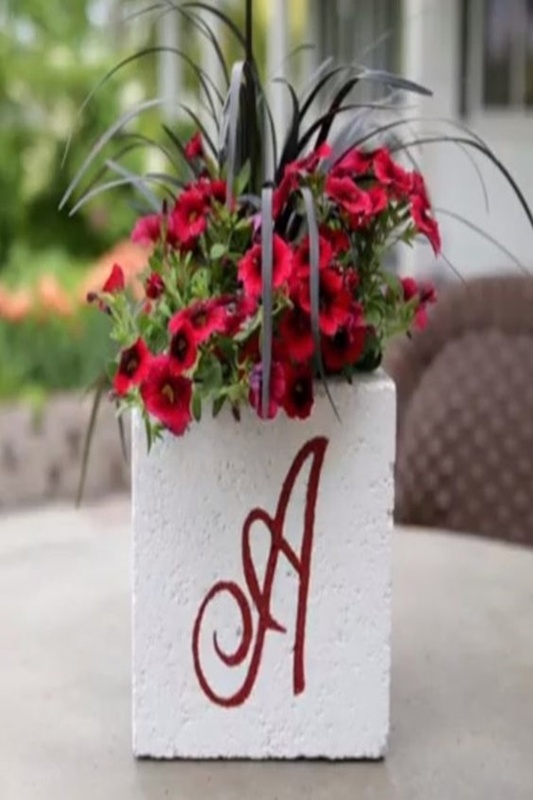 Take the cinder blocks and get names engraved. 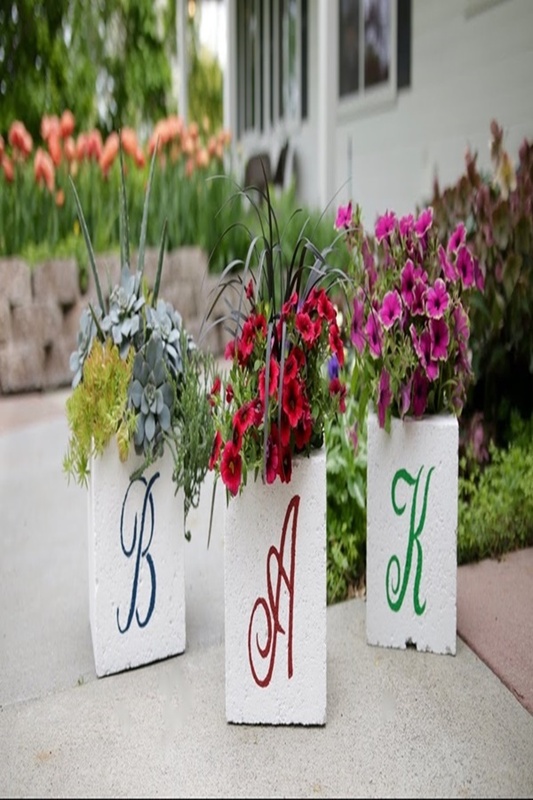 If the names are too big to be accommodated, you can choose the first letters and get them on the cinder blocks. 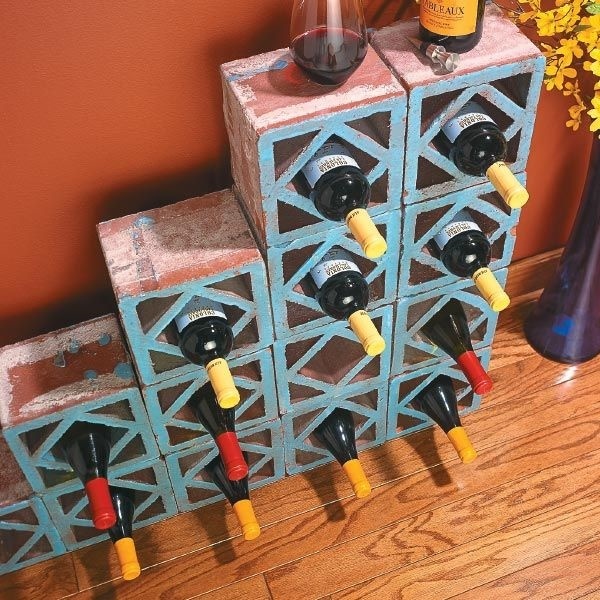 You can ask the carpenter to engrave them, or you can paint them. 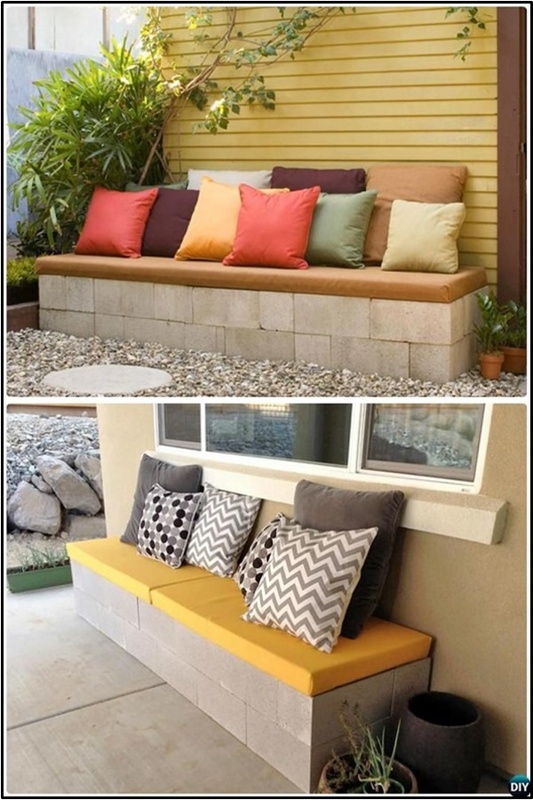 Arrange these in any order and preferences and see how the garden looks changes. 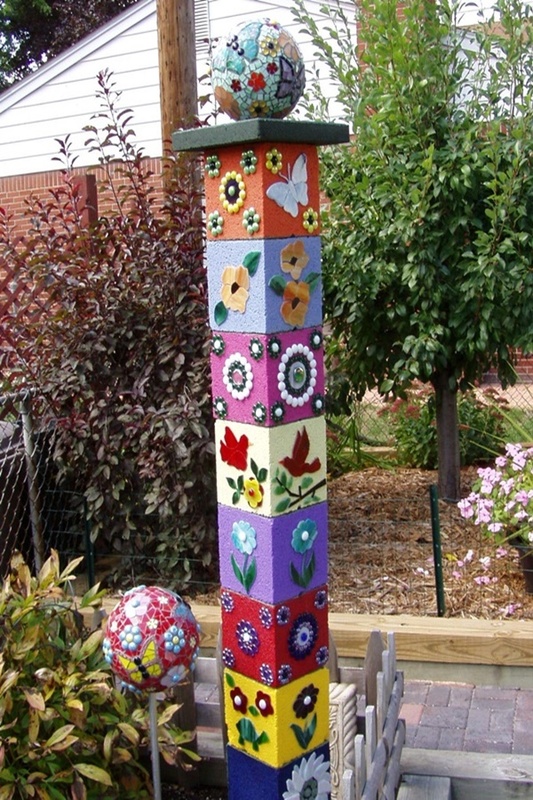 Like colours and wish to see a colourful garden too? This is my personal favourite and you have two choices here. 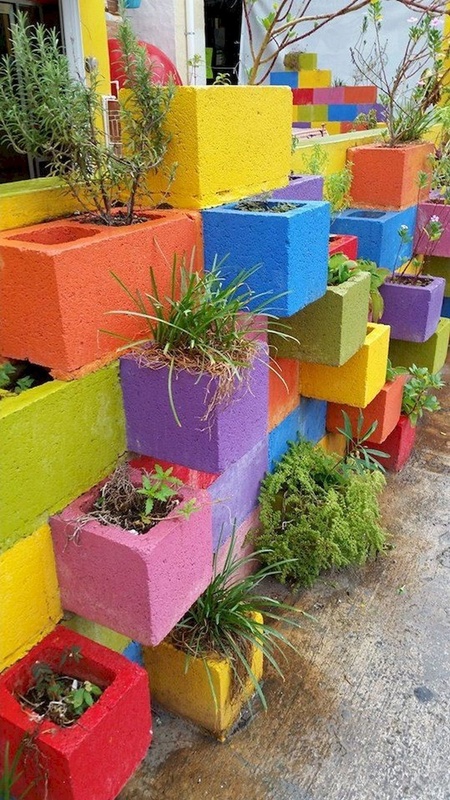 Take the cinder blocks and colour them in the rainbow theme and arrange them accordingly. 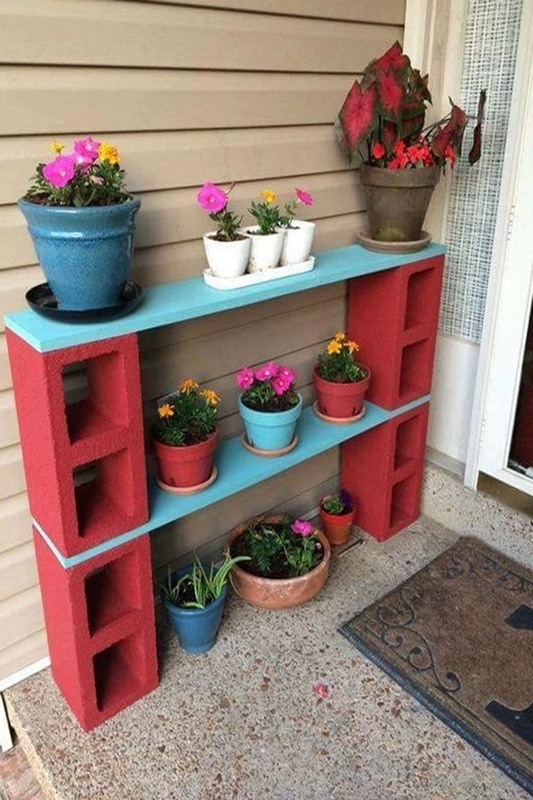 If not, let the cinder blocks be plain, but choose flowers in different colours. 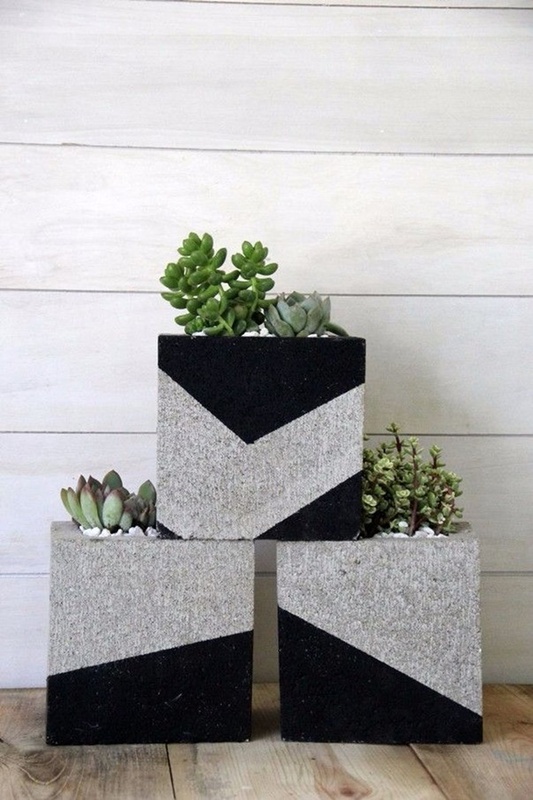 This cinder block planter idea is for those gardens that have a lot of space. 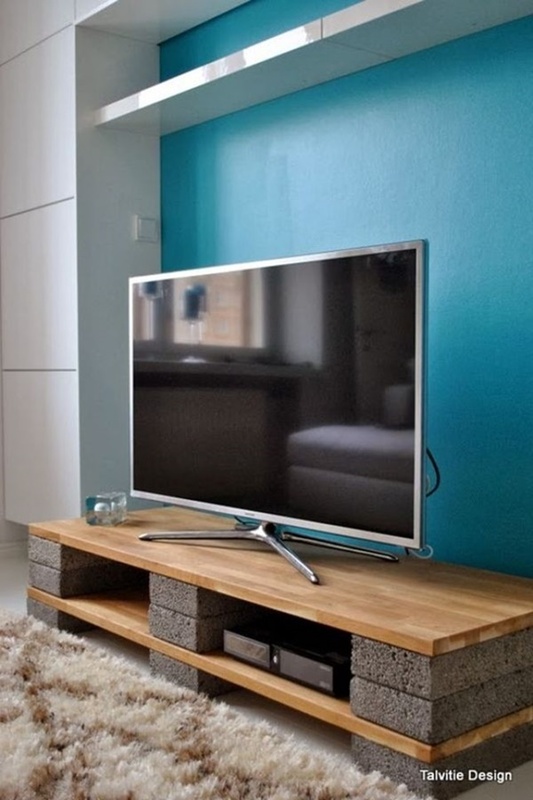 Choose an area that can be elevated – and now create levels where – it could be with cement or any other constructing material. 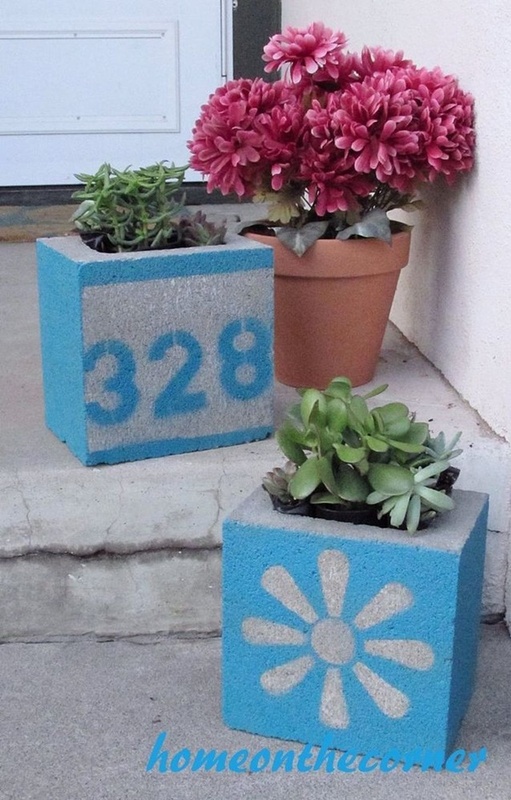 Now, place cinder blocks randomly on the steps and place plants of your choice and preference. 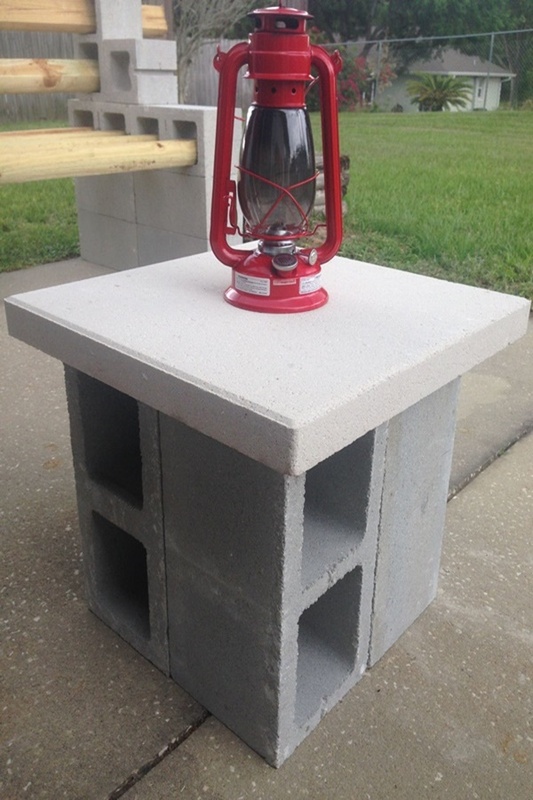 Since cinder blocks are usually made of concrete masonry unit, you can use it around the fire as well. 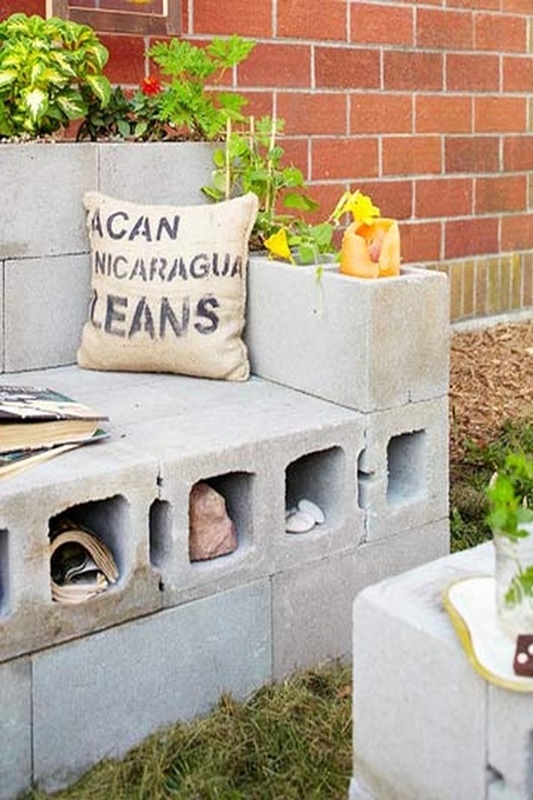 So, if you are planning a firing pin in your backyard or garden, then cinder block planter idea can be used there as well. 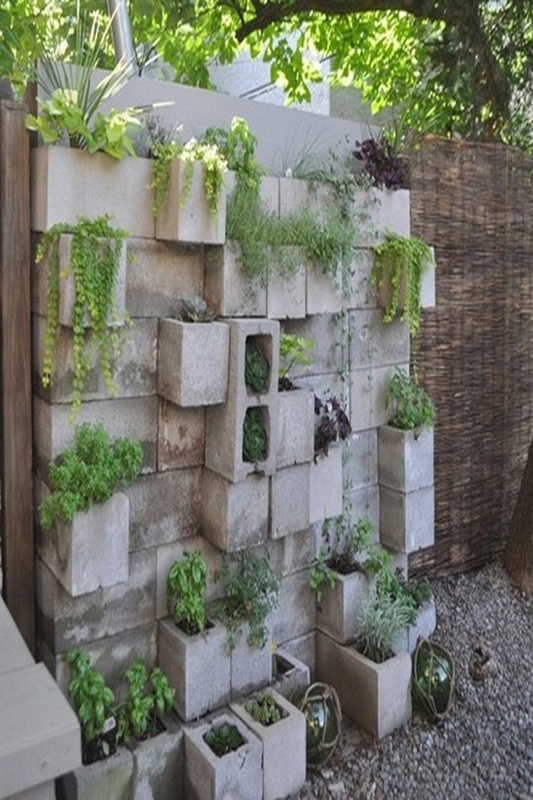 Surround your firepit with these cinder block plants – you can use it to have real plants or you can also have artificial plants in them. 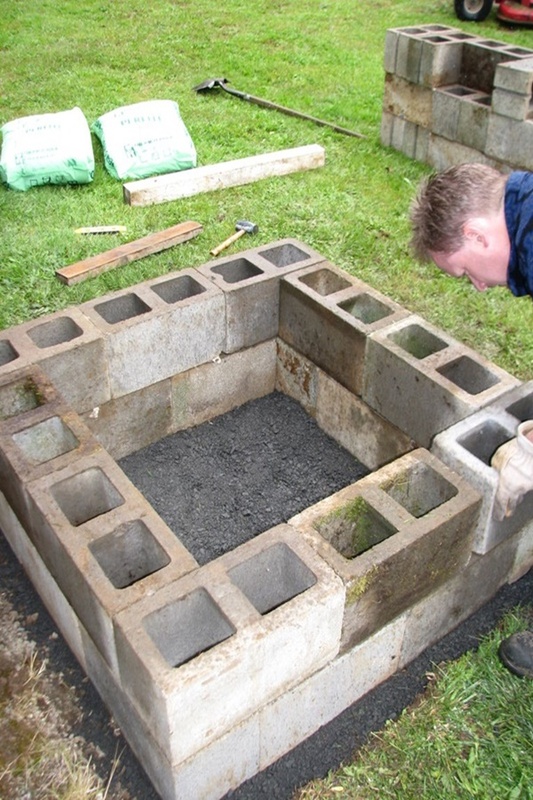 Or, even better, create two layers – the outside most having plants, and the inside layer of cinder blocks to store marshmallows and twigs to be added to the fire. 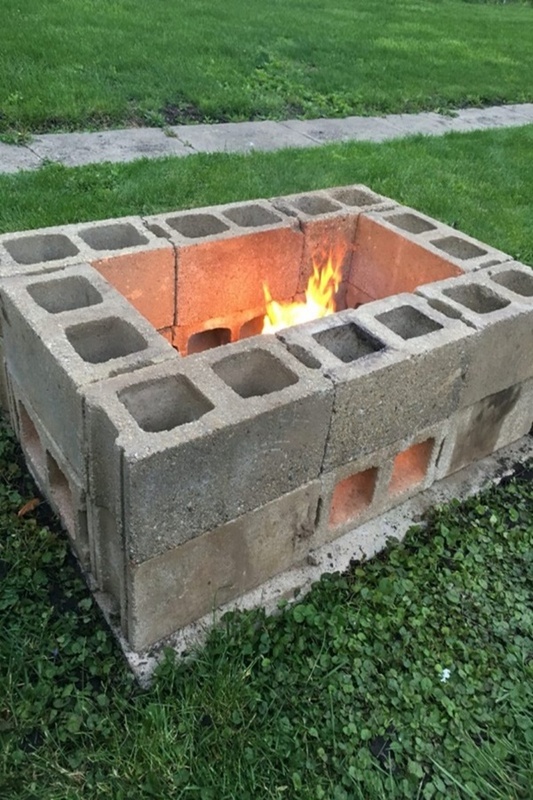 Also, Here we present some DIY Fire Pit Ideas to Make Your Neighbors Jealous. 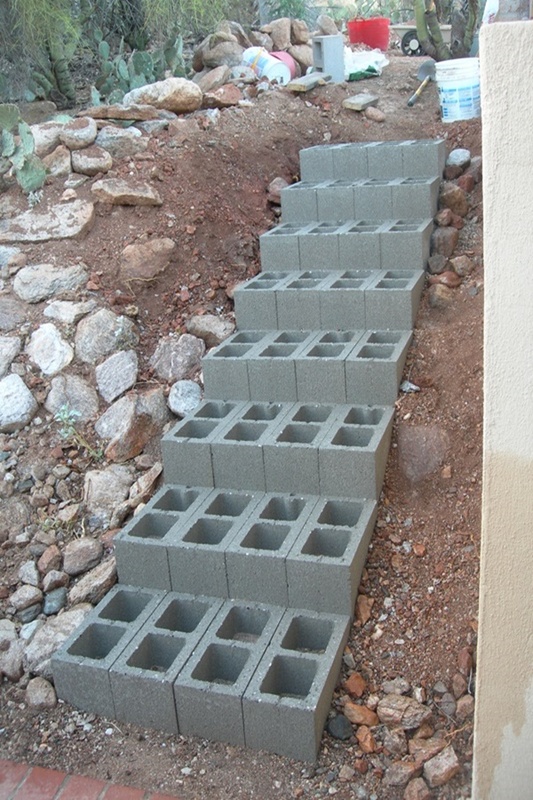 This can be done best during the construction of the house itself. 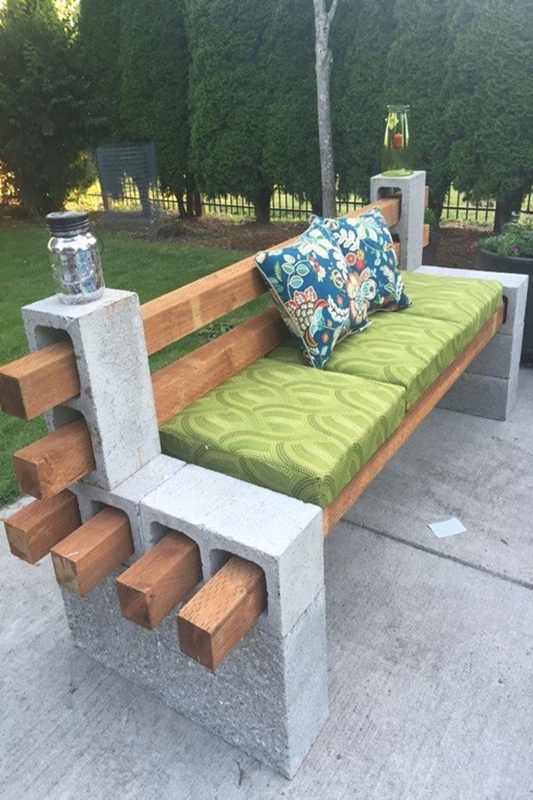 Request your carpenter to build seating benches out of cement. 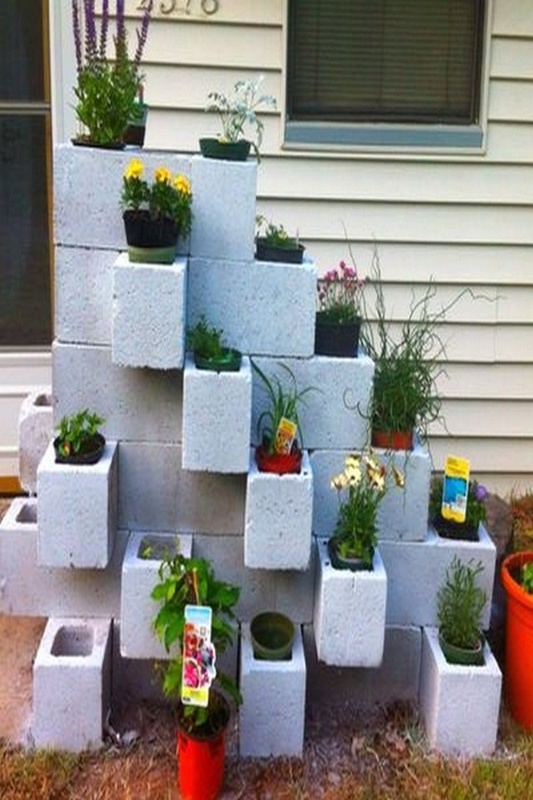 Now, at the ends, decorate them with cinder blocks layered with beautiful plants. 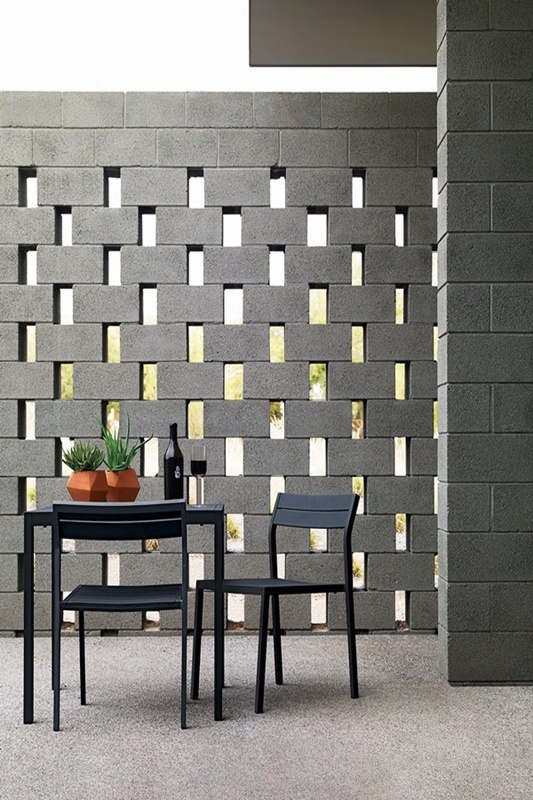 You can choose to have the boundaries of your seating with cinder blocks, or you can also have the back side of the furniture to have cinder block plants – the choice is yours. 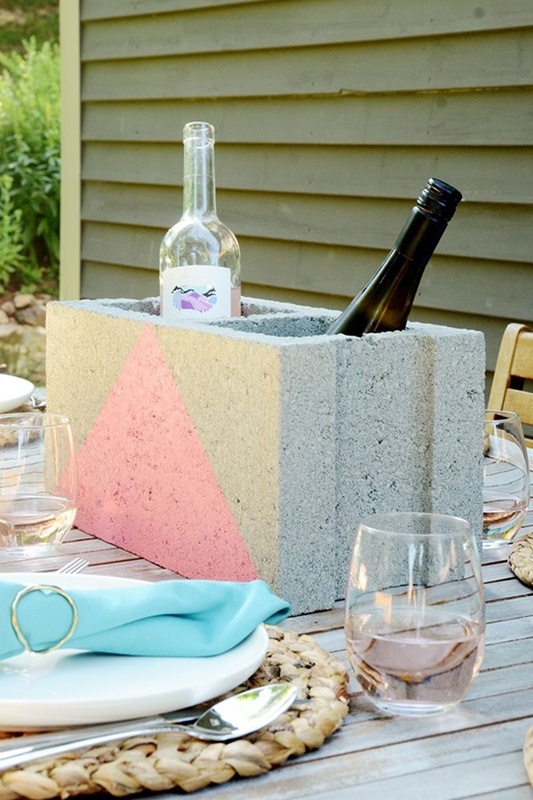 If you have just started experimenting and are not sure how the Decorative Cinder Block Planter Ideas will look in your garden or backyard, then this idea is for you. 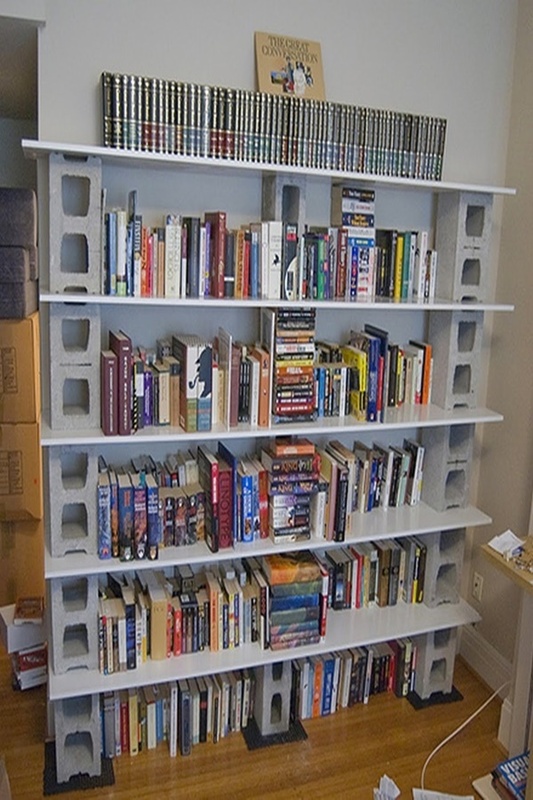 Choose a separate section in your open area and get a wall constructed therewith cinder blocks constructed in them. 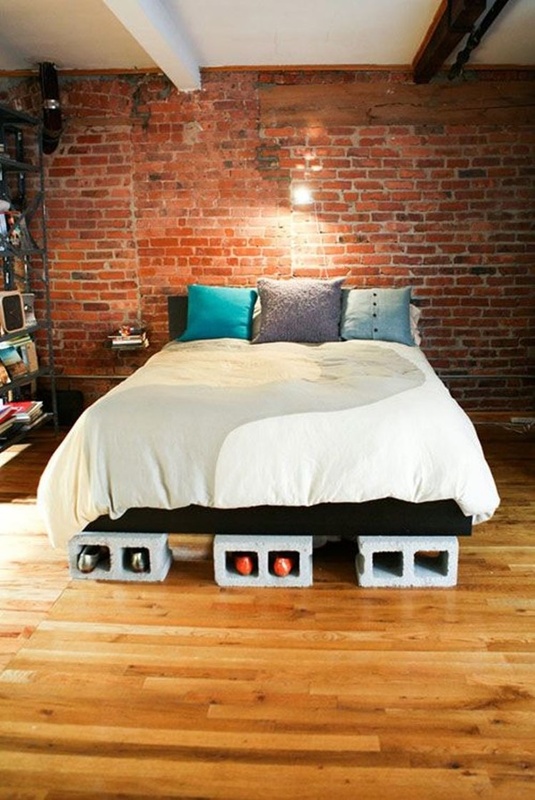 You will have the discretion to choose the distance and place on the wall. 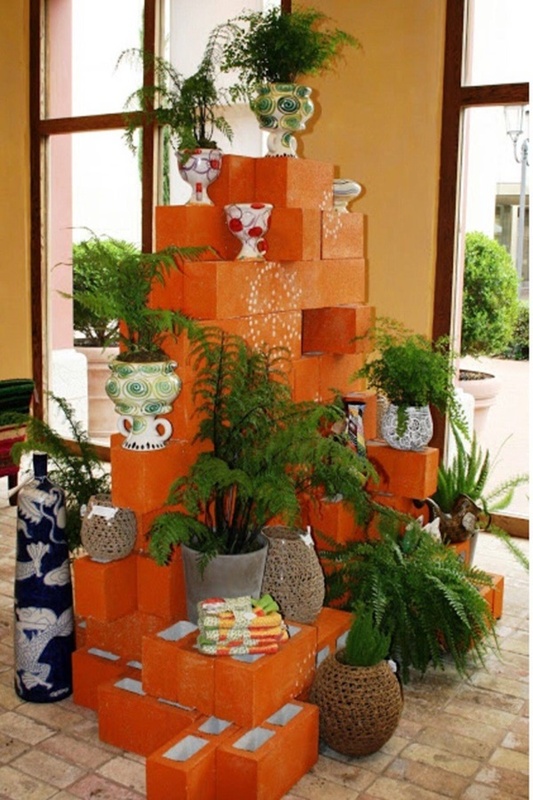 Now, place a pot of plants in them and nurture them every day. If you think it is looking nice, go on and get more of these in the entire area. 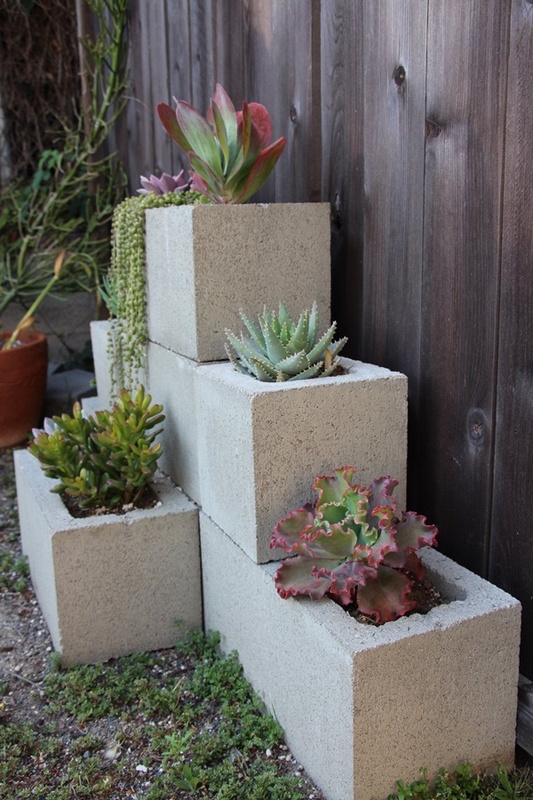 If you are someone who loves succulent plants, then there could be nothing better than having them in cinder blocks. 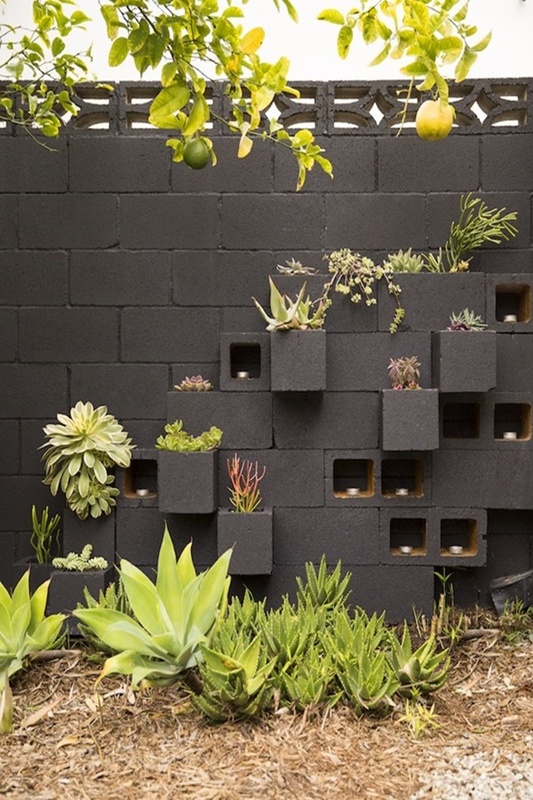 To get the best look out of them, place all the cinder blocks in close vicinity and random patterns. 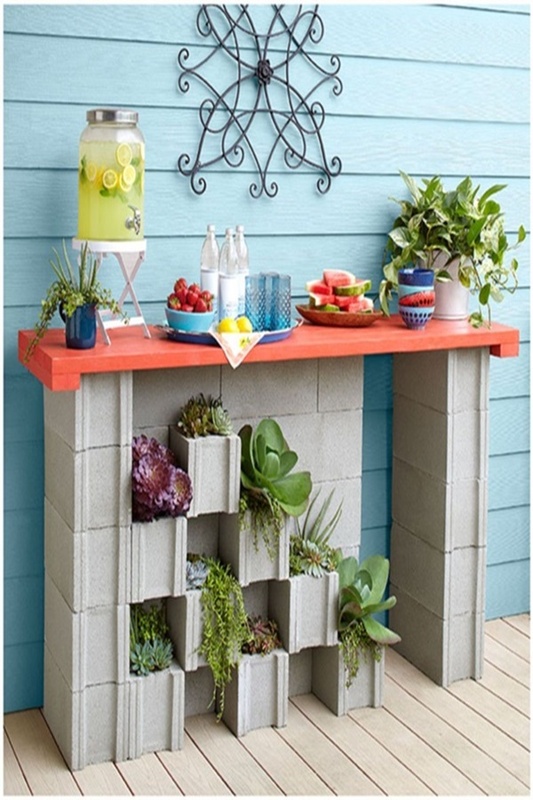 Now, get all your succulent plants in the cinder blocks, and around them to have the whole area exclusively for this succulent planting arena. 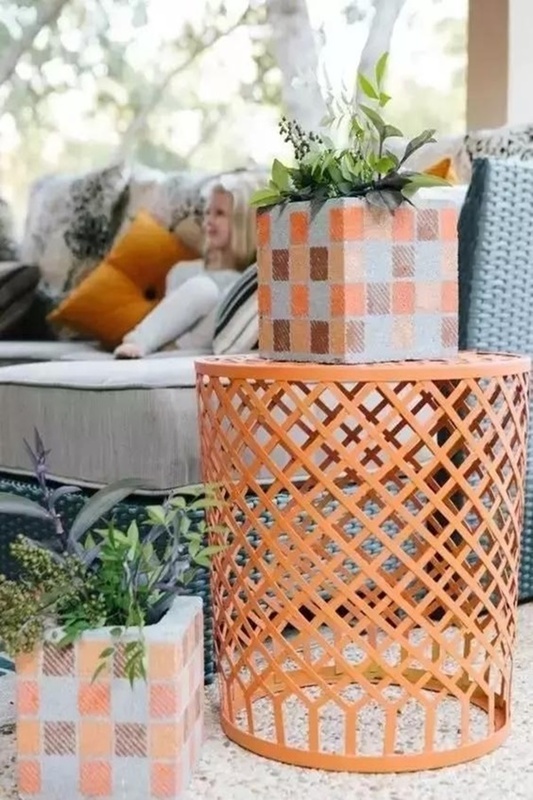 Here we bring you some Amazing Table Runner Ideas for Modern Homes and will help you to make everyone around you go green with envy. 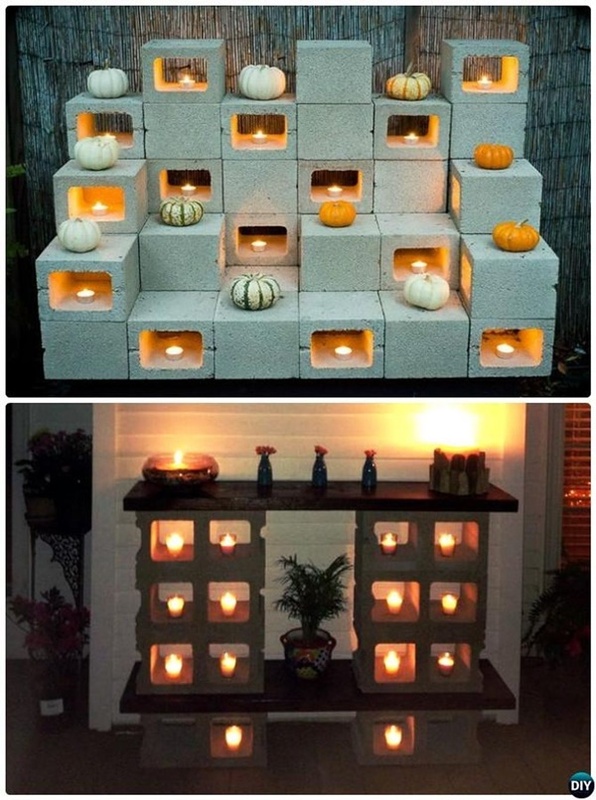 Make an entire fence with cinder blocks. 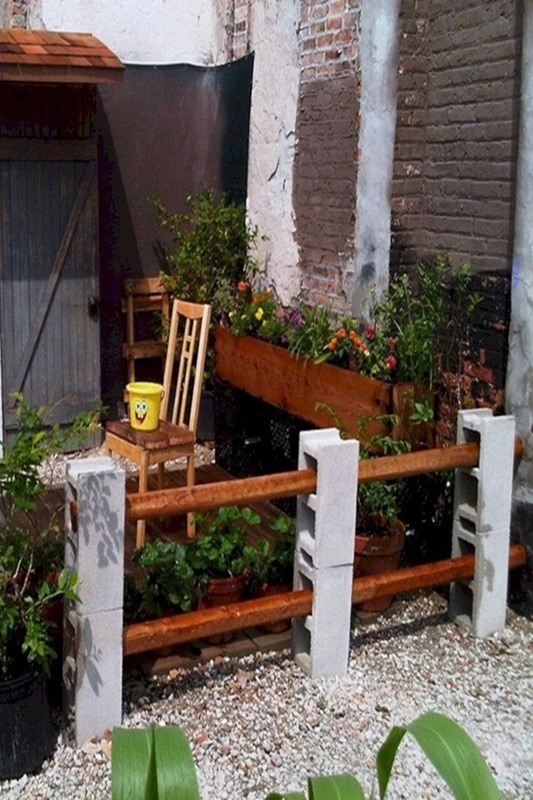 Place them carefully at the ends of your garden or backyard. 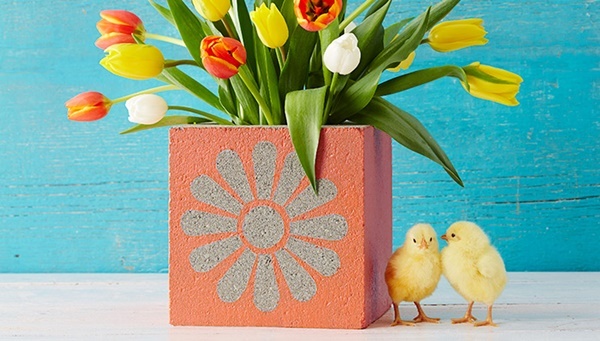 Now, you can choose to decorate them with colours and flower patterns of your choice. 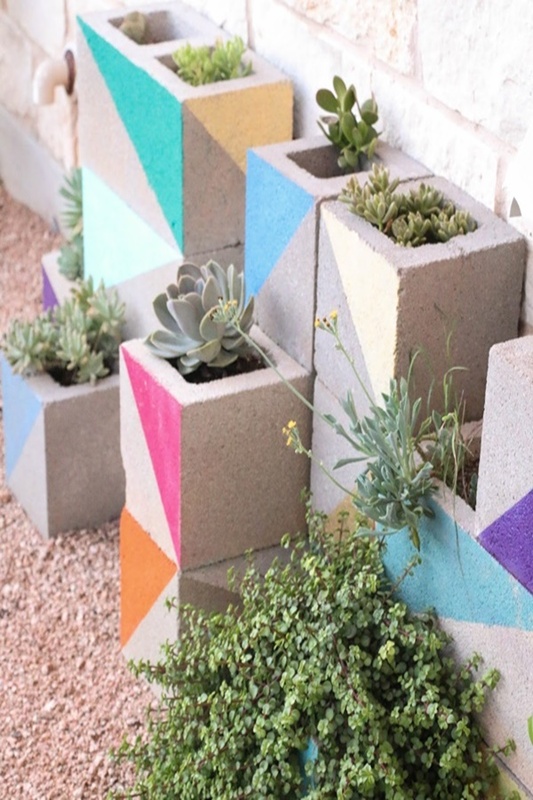 You can come up with your own pattern – leave some blocks empty while having layers of the same plant together for some blocks – you can choose to go Crisscross with colours and flowers as well. 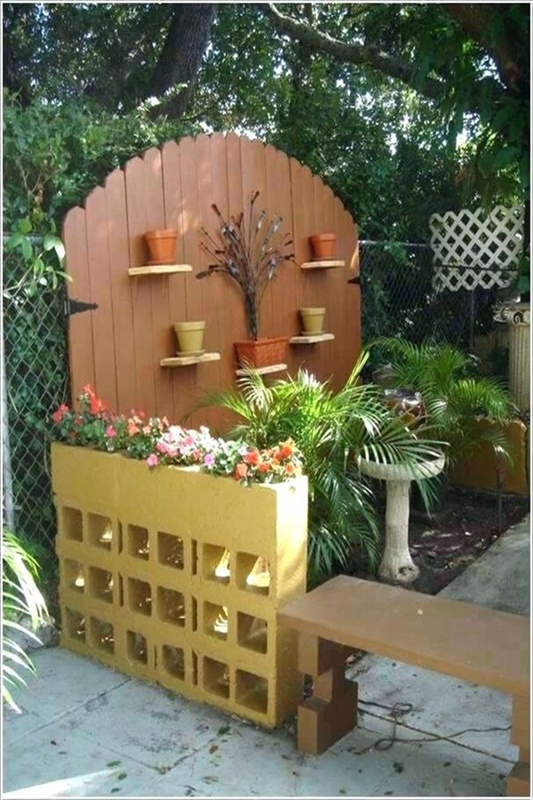 Alongside, have shrubs that will grow out of each other to have the perfect plenty and flowery decoration. Here’s to get you started on this spooky little journey of yours, some super easy yet Scary Skeleton Decor Ideas to try this Halloween for preparing a bunch of your own ghosts. Let’s find the evilness quotient in you, just kidding! 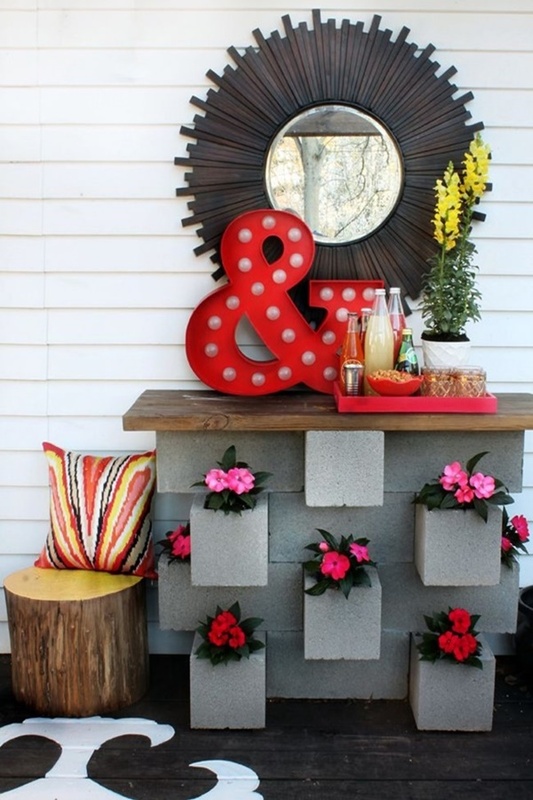 Do you know the best part about these inspirations of Decorative Cinder Block Planter Ideas? 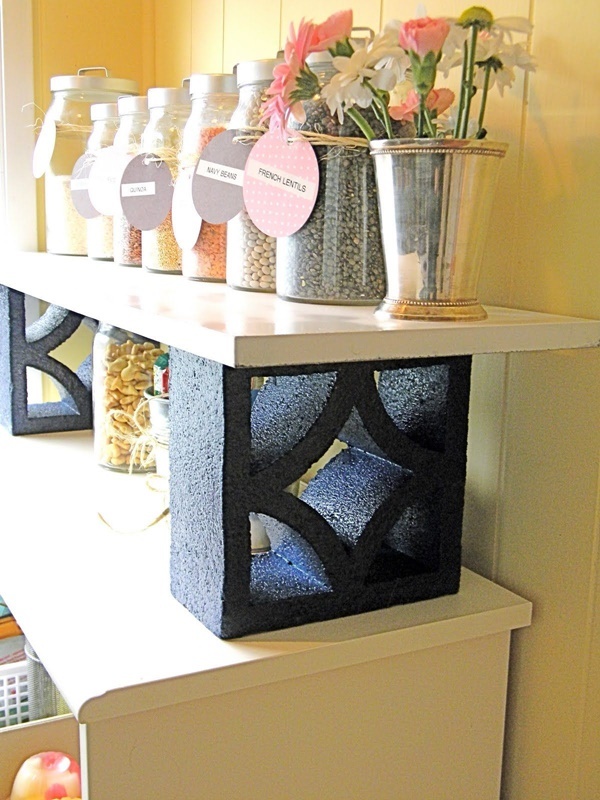 They are absolutely low maintenance – in terms of after services, or prone to breakage. 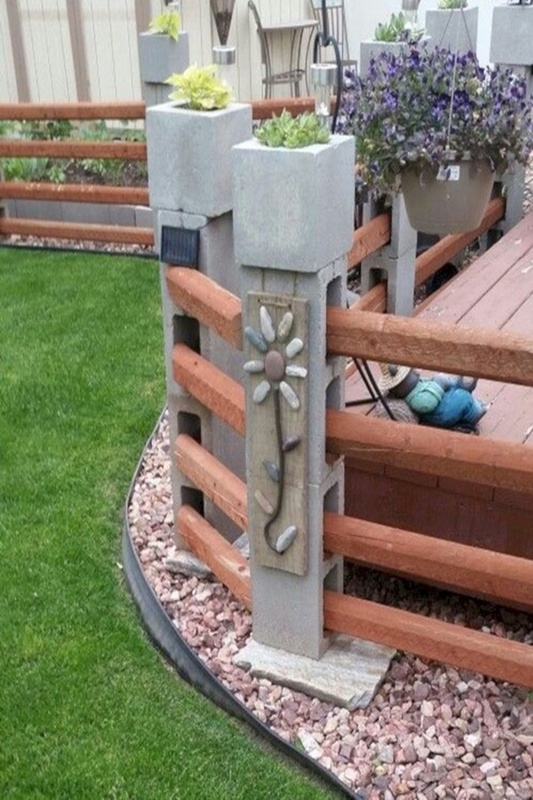 What more, they enhance the look of the flower, and place too. So, what are you waiting for? 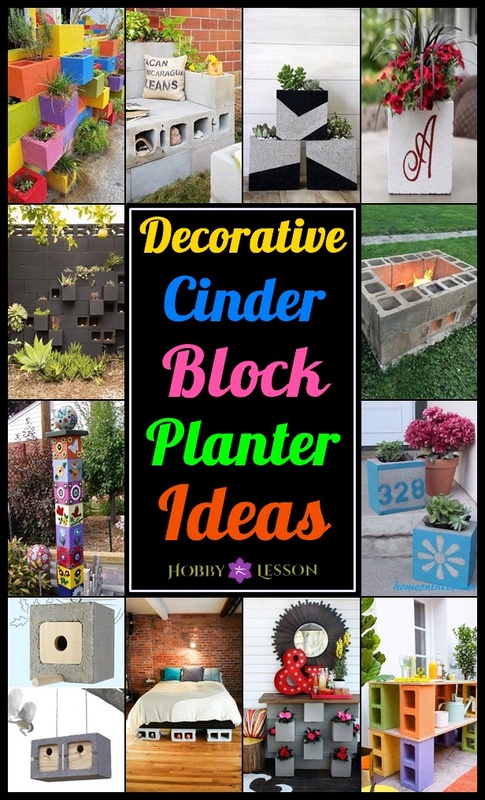 Get going and if you are having your house constructed, get the carpenter to make tons of cinder plants. If not, you can always buy this ready-made in the market too.